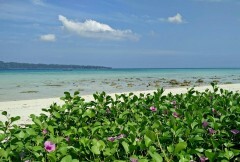 Get your first taste of scuba diving with this Try Diving trip in the Andamans. You don't have to know how to swim, and you'll be doing this dive from the shore itself, so it's great for those with limited time. 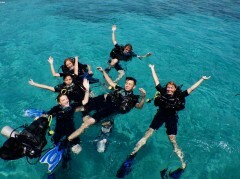 Your instructor will teach you the basic skills required for scuba diving and show you how to use your gear. 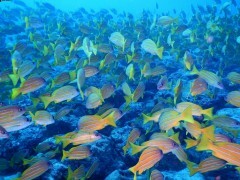 After that, you walk into the water and spend 25 minutes exploring the underwater world. You'll be able to go about 10-11 metres deep (just under 40 feet). 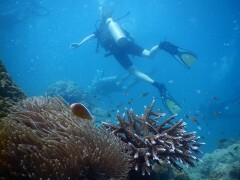 This trip also includes photos and videos to record your scuba diving adventure in the Andamans. Eat a light breakfast and then report to the dive centre 07:00 hrs. 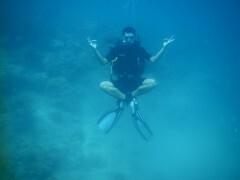 You'll be trained in the basic scuba skills and will participate in the shallow water training session. 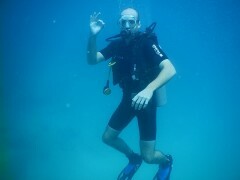 Then you walk out into deeper water for your Try Dive. 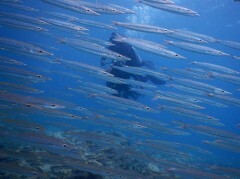 You'll enjoy a thrilling diving session, accompanied by an experienced instructor. When it's over, you'll be returned to the shore. Trip ends here.